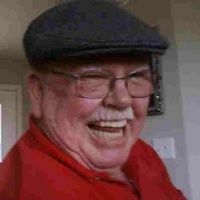 Mr. Thomas "Herman" Marcus, age 78 of Resaca, GA, departed this life, Friday April 12, 2019 at his residence. He was born January 9, 1941 in Dalton, GA, a son of the late Porter Maxwell and Lena Kephart Marcus. He was also preceded in death by his brothers, Carl, Eugene, and Johnny Marcus, sisters, Selma Sharp, Gertrude Mantooth. He proudly served his country in the United States Military. He was a member of the Center Point Baptist Church. He is survived by his loving wife of 58 years, Carolyn Brock Marcus of the residence; sons and daughters-in-law, Rick and Kelli Marcus of Resaca, GA, Reverend Wayne and Tammy Marcus of Eastonallee, GA; daughter and son-in-law, Darlene Marcus and Michael Allen of Resaca, GA; brothers and sisters-in-law, Porter and Levelle Marcus, Ronnie and Ann Marcus of Dalton, GA; sisters, Moreen Brown of Kennesaw, GA, Betsy Kinsey of Rocky Face, GA, Catherine Kinsey of Chatsworth, GA; grandchildren, Andy Marcus, Tasha Scroggs, Noel Pauley, Jacob Allen, David Marcus, Brittany Dagnan; twelve great grandchildren; several nieces and nephew. Service to celebrate the life of Mr. Thomas "Herman" Marcus will be held Sunday April 14, 2019 at 4:00 p.m. from the Ponders Melrose Chapel with Reverend Wayne Marcus and Reverend George Ross officiating. Reverend Matt Futch will officiate the committal service. Interment will follow in the Center Point Baptist Church Cemetery with Roy Carroll, Andy Smith, Bill Thornton, Doug Jones, Randall Bates and Anthony Sanford serving as pallbearers. The family will receive friends from 5:00 p.m. until 9:00 p.m. at the funeral home on Saturday. Arrangements by locally owned and operated Ponders Melrose Chapel, Dalton, GA. (706)226-4002 "Funerals, Cremations, Cemeteries, Florists" YOUR SELECTED INDEPENDENT FUNERAL HOME"
Add Photos, Videos, Music that tell the story of Herman's life.